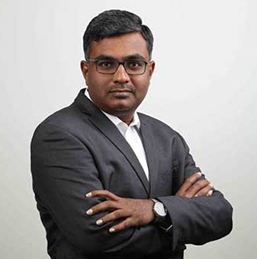 Sridhar S is the Group Company Secretary, Legal and Compliance Officer of NH. He joined on 6th March 2017. He is a commerce graduate from Bangalore University and holds a Bachelors in Law and Associate Membership with the Institute of Company Secretaries of India. He has nearly 19 years of post-qualification experience in legal and corporate secretarial matters including M&As, company law administration, shareholder services, litigation management, compliance management, IPR management, and corporate governance. He has worked with various organisations including Vysya Bank Ltd., Alpha Systems Pvt. Ltd., Avasarala Technologies Ltd. etc. He was with SABMiller India Limited before joining NH.